OK, now I am at work so I listened to muted the entire time. Graphics look 1. Low tech 2. Very busy (more than needed). Sounds like what they said does not look that good. However, the only and I do mean only redeeming factor is the movement/gameplay does not look awful if you can get past the graphics. 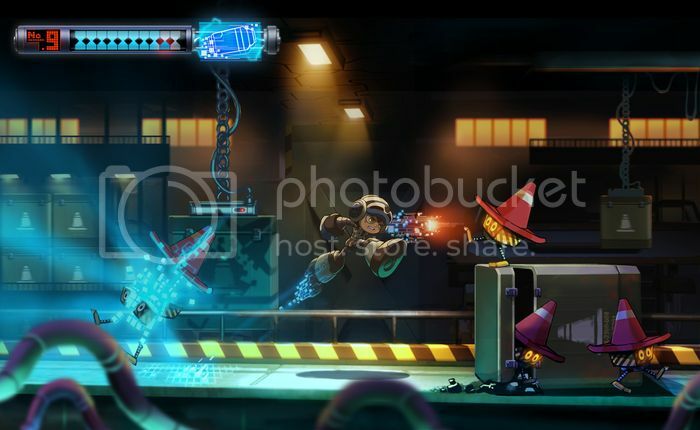 I have always been a huge Mega Man fan and while I didn't back this project I was beyond excited when it was announced. I haven't been following the development that much but man... that was something. Don't get me wrong -- the narration and dialogue on the trailer are unbelievably awful and off-key. If you're only paying attention to the visuals, though, and you're still disappointed with what you're seeing...I'm curious as to what you were expecting in the first place. And yet Mega Man X on the SNES looks pretty much fine, even today. It's a matter of having a coherent art style. There's no reason why this game should look worse than SNES games! You all know (well, some of you know) that Mega Man X is basically the definitive Mega Man game for me. All similar games will be compared (probably unfairly) to it. But I'm with Ozy on this. The graphics look like what you'd expect from a modern independent team going for an old school art style with a clean 3D aesthetic. I think where the art fails is when it zooms in and the characters look very Guitaroo Man. I don't really prefer that art style, but the game in action looks absolutely fine. I think people are being rough on it and I'm not certain what has changed aside from delays. I mean, it looks very much like previously released trailers. The only new thing are the close-ups and the voice over. If we're talking about character design, though, I don't really see anything here that surprises me. The main character's design is awful, but that's been awful from the moment the Kickstarter launched. 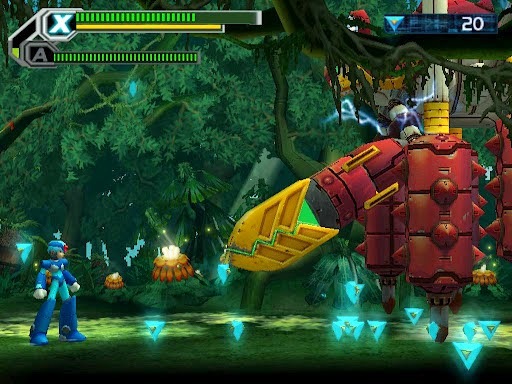 The enemies mostly follow the same design tropes that have been used throughout the Mega Man X games for years. Yeah, I think color choice is definitely a major contributing factor to the game not looking as good as it should. Not only is there some contrast issues, a lot of the shades chosen just seem unappealing and clashy to me. And the color design and enemy design is much better too! I fully understand that no games look exactly like their concept art, but that's not really an excuse for the current art direction to be so bland. The CEO of Inti Creates is also not a fan of the trailer. This is totally on Deep Silver by the looks of it. The PC beta from 6 months ago (if not longer than that) was fairly playable. The bosses weren't terribly balanced but the controls feel fine and were fairly responsive. Art is a bit underwhelming but I tended not to really care once I got into the groove with it. I'm still not sold on the enemy absorption thing (the buffs you get were fairly minor and hardly noticeable aside from the speed one), but it feels like a new branch on the Mega Man family tree which is all I'm looking for here. On the other hand, Yoshi's Story always looked pretty meh compared to Yoshi's Island. Lack of budget (or misallocation of the funds they do have given the VA cast has a lot of well known anime/game talent) and targeting too many platforms is my theory. Also, if the plan is to do a straight 1:1 port to 3DS and Vita they're going to have to compromise on the visuals. 3DS is probably the biggest constraint here and was unsurprisingly not a target for Bloodstained. Reviews are coming out and to absolutely no one's surprise they're not good. Not bad, but not good. I'll just link to this reddit post because they're collecting all the reviews as they come in. I'm curious to try the game, but I think I'll wait for a 75% or more sale. I'll probably pick it up soon-ish, but I'm in no rush. I've got enough to play at the moment. I'll avoid reviews since I like to go in with my own fresh perception. The only review I've read so far was the Eurogamer one and it largely reflected my takeaway from the PC beta. Gameplay is fairly solid aside from the bosses, main issue is the art direction. 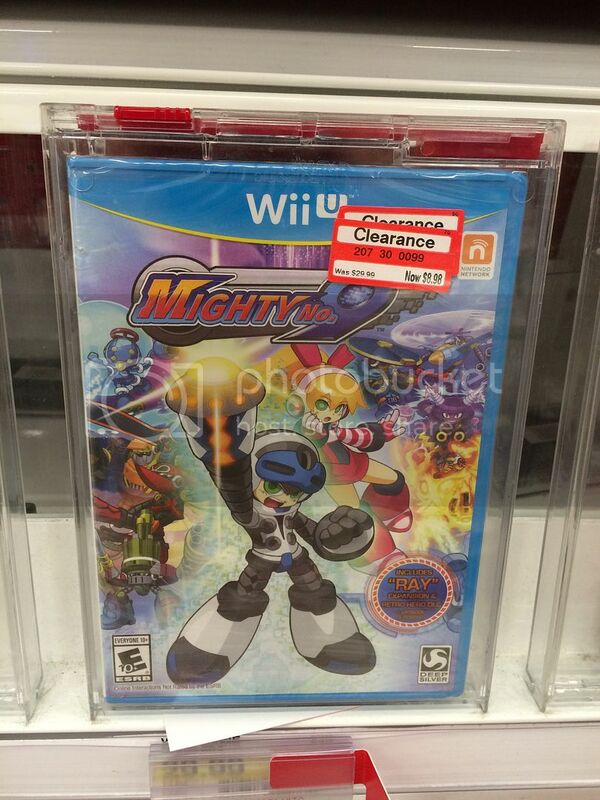 It's no Godus but it's also no Shovel Knight either. I will be playing tonight and will make sure to give you guys my thoughts tomorrow. I had a chance to play it for an hour or so tonight. It's not the greatest Megaman game, but it's not bad. The pacing is faster and more aggressive because of the dash move and xel collection (the controls also feel a bit overcomplicated, but that might just be me), but it feels a bit like Megaman Powered Up on the PSP which was one of my favorite MM games. It's definitely getting unfairly negative reviews in the media (it probably deserves closer to a 70 or 75 Metacritic score than the 50-ish its getting). Inti Creates has done some really good work on things like Megaman 9/10 and the entire Megaman Zero franchise. That's why I was so excited for this, more so than it being an Inafune joint. But the reactions so far has definitely put it on my 'buy if it's 50% off or more' list. I put in 30 minutes tonight. I don't know if I'll put in more time. but there's a hard stop before a sentence finishes. Yeah that was a weird thing in the beta too if I recall correctly. However, that's a pretty accurate depiction of how text worked in the NES MM games. Also, the series has a torrid history with voice acting. Doctor Whywee anyone? I played for about 90 minutes. Played 4-5 of the levels and made it to 3-4 boss battles. Overall- I will play the game through and do not regret the purchase. That being IMO - Level design/control are the biggest thing on these games and really make the game good/bad. Some people care about story/art style etc. more than I do. Control - Very precise and good similar to all mega mans (although also probably most important part). Level Design - So far I did enjoy the level design. Some old call backs, and some new mechanics. Particles - Now in the bad I personally do not really like the art direction. However, unlike in the video's I can say the particle effects and contrast works very well for this type of game. You can always clearly see enemies/weapon fire/level etc. Extras- Seems to be plenty of challenges/extras outside of single player main game (although needs to be unlocked). Can not wall jump on all walls - this just feels weird and in my opinion so far makes the boss battles very meh after playing the X series. Graphic Style - I am not a fan of the art style however everyone is different. The biggest thing that is hard to comment on is the dash through enemies power up system. They really went all in on this. First 45 minutes I did not like it. Second 45 minutes though it did start to grow on me. Once you get the reflexes down etc. Certainly will be really good/interesting for speed running market. Need more time. I kept hitting a point where I'd think I had shot enough bullets to "stun" so I could dash and Xel collect, only to collide with a "full power" enemy and take damage. I see what has happened to this game and it really makes me sad. I think the problem was they just shot to high of expectations right out of the gate. This should have been a focused project with none of the cartoon nonsense trying to be tacked on to the side. I also believe that releasing it on either both/only the One and the PS4 would have helped. Or perhaps a PS4 exclusive? I dunno, just sad to see they didn't hit their marks. Wasn't this game was funded on Kickstarter before the PS4 or Xbox One was even announced? I definitely think they made the scope of the project way too broad. They should have just focused on the core game and not gotten so crazy with their stretch goals. There's a Eurogamer article today that basically confessed developing on too many platforms was the top problem. The Kickstarter money only made up for 60% of the budget, and the porting for so many devices is what really hurt them. At this point, I'm just hoping for a sequel (or a PC/XB1/PS4 only remake), there's a decent amount of unrealized potential here. I'm liking the game enough to finish it, but not much more. I think you misunderstood the 60% aspect of the quote. What they were getting at is that the number on kickstarter isn't the budget, after everyone take out their fees they only see about 60% of that, then that money is what had to be spread out for the entire project. Perhaps? That wasn't really how they worded it, though. 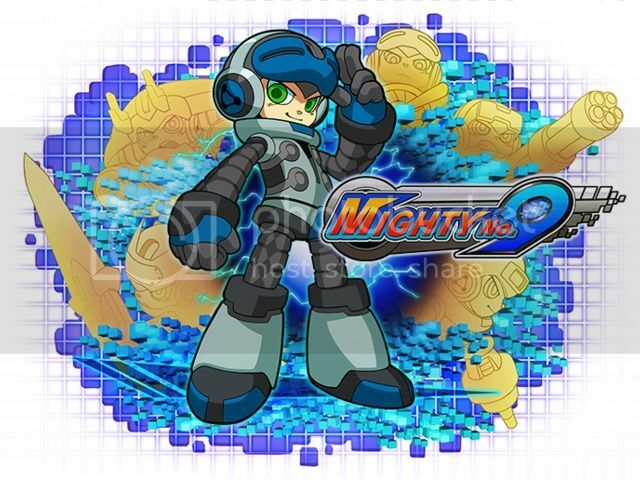 udd goes on to say that Inafune says that the $4m Kickstarter figure was actually about 60 per cent of Mighty No. 9's budget, and creating 10 different versions of Might No. 9 (it's on pretty much every platform going) hurt the project. Perhaps they assumed you'd make the conclusion? But they way it's worded, it just seems that all the versions was the real problem. It's also possible Deep Silver or other entities floated them some additional cash near the end. Also, have they said how much went to 2P Productions for the documentary work? This should have been a focused project with none of the cartoon nonsense trying to be tacked on to the side. I know this is basically parroting what was said on the livestream, but it sounds like the "cartoon nonsense" was done after most of the initial design and implementation work was complete. So that's the time when the business development people (ie. production people like Inafune) go out and do other things while the core team is grinding away on the product. You see this in other parts of the industry like having artists start working on DLC while the rest of the team is polishing and bug fixing in the months before gold mastering. I know Infune's said they'd try and do a sequel, which I'd like to see. I could've seen them doing an "Enhanced Edition" next year since that's kinda the track many Kickstarters take but I'm not 100% sure that's a possibility with how this is being raked over the coals. Yeah getting something working well on one system is hard enough. 10 different versions? Insane. Whatever the budget really was I can't imagine how much work had to go into the game to get it out. No wonder it was delayed so many times. Honestly from the very beginning when they showed the game I really didn't like the art direction and the decision to use the 3D. But perhaps if they had went the 2D route they'd still be working on it.